Ben made the round trip of eight hours to compete in his last tournament of the season at the Burton upon Trent 2 star. Despite the long journey and some quality opposition he won the under 13`s title & another trophy to add to his growing collection. 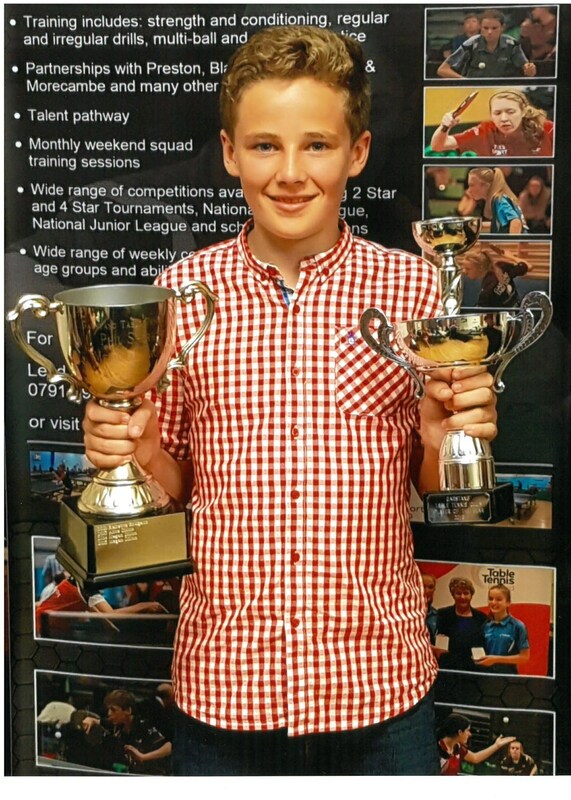 Ben attended the end of season Presentation Night on the 22nd of July at the Garstang Table Tennis Club where he won the most improved player of the year for the second year running. He was also the joint player of the season which capped a great night for the Furness boy`s player.